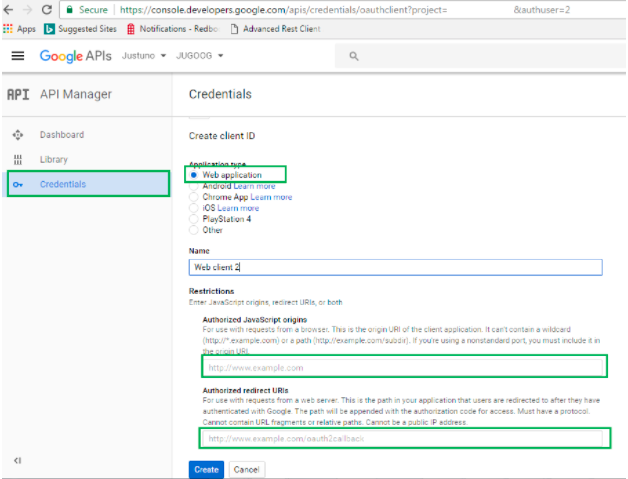 Note: this is an advanced integration and requires a developer to setup a customized endpoint to accept the Google data for integration with your backend systems. 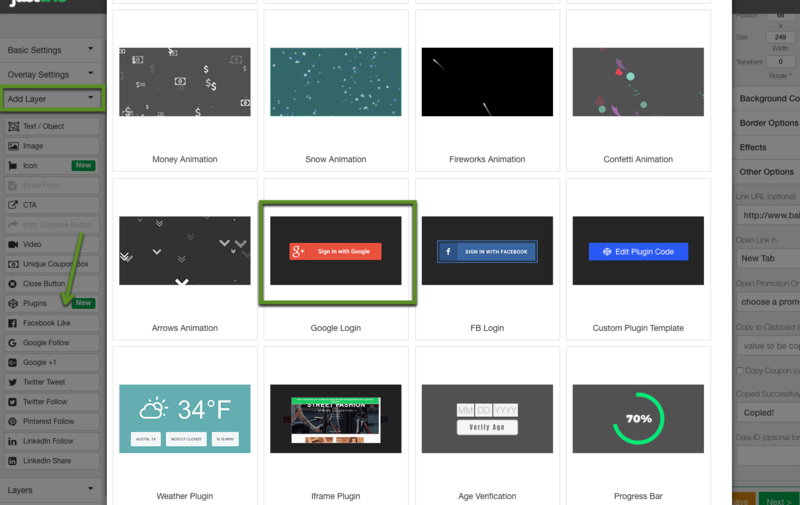 The Justuno Canvas Editor Google Login Plugin allows Google login to be integrated into promotions allowing sharing of information which is easy for both customers and vendors. A customer can click the login with Google button on a promotion which will share various information from their Google Account Profile without them having to manually fill out any forms which can potentially increase customer engagement. Many of the more advanced usage for this integration also require a Google oAuth Application Key that has passed Google’s approval process. Most or all of this integration can also be provided as part of our managed services package. Once you have added the plugin to your page from the Add Layer menu in the Canvas editor you will need to select the layer and fill out all the appropriate options listed on the right hand side menus. There is no need to click Edit Plugin Code as everything there is already setup for your convenience. Select “Web Application” and be sure to fill out the URLs listed under Restrictions. You can customize the button users to click to login to Google so it best matches your brand and particular promotion. You can upload this image in the Canvas Editor and it will be hosted on our CDN for fast delivery. Google Data Scopes: Google needs a list of scopes from the plugin which are a way to ask for permission for certain data stored about an individual's Google account. A complete list with more information can be found at the link below. As mentioned previously only certain scopes are allowed without an approved Google Developer App ID. This is the most difficult part of this process and is what requires the assistance of a developer. 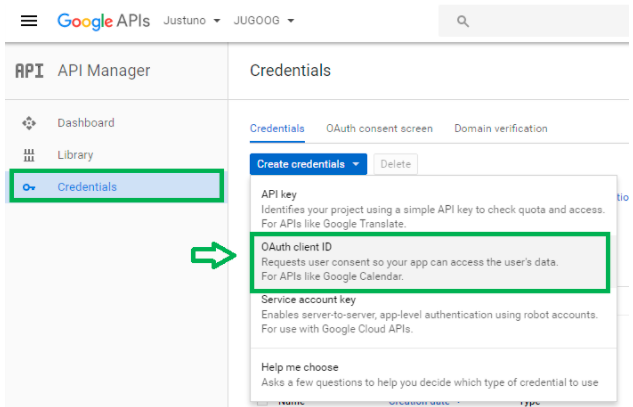 As soon as the justuno iFrame receives the data you requested back from Google we post this data as JSON to the URL you list here. You will then need to take this information and match it to some internal account within your own customer database or lead capture system. An example response looks as seen below.